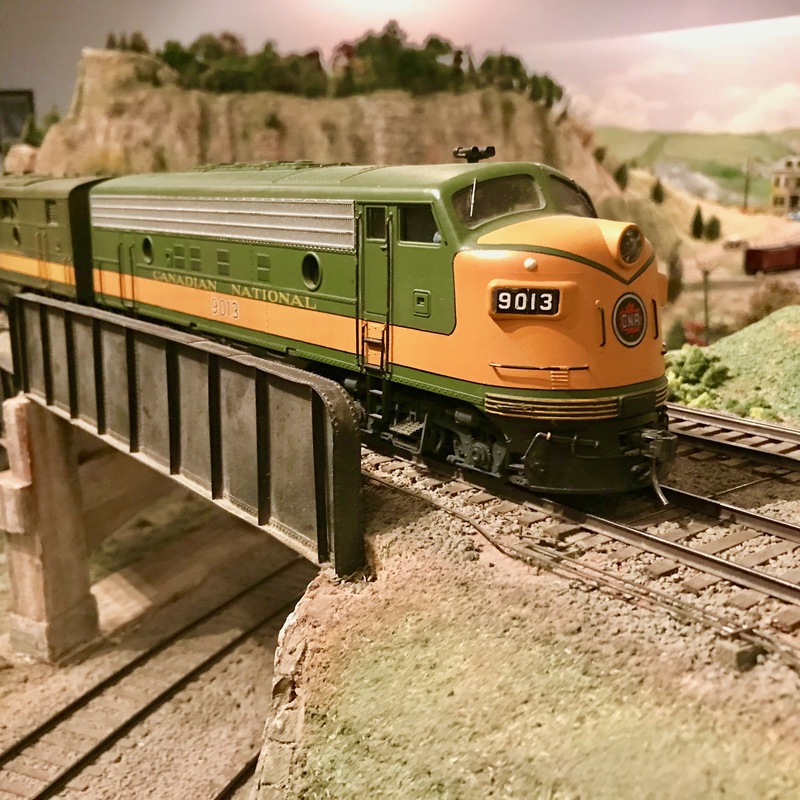 Located in the beautiful downtown core of St. Jacobs, the St. Jacobs & Aberfoyle Model Railway moved to the village in 2013 after having a long history in Aberfoyle. St. Jacobs & Aberfoyle Model Railway is an O scale (¼”= 12″) model railway depicting Southern Ontario in the late 1950’s. 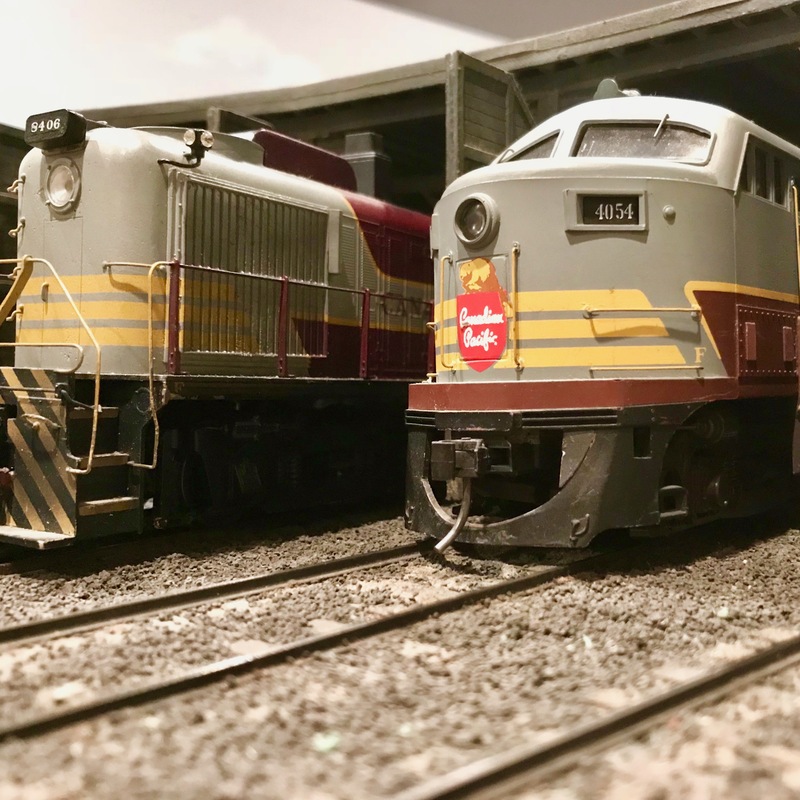 All our models are hand built and represent both major Canadian railways, Canadian National and Canadian Pacific. Come watch our freight trains and passenger cars recreate the era of the great train journeys. Our scenery depicts parts of the Niagara Escarpment including countrysides, rivers, towns and a large city. You may recognize many of the industries, structures and scenery, which are based on real locations in the Southern Ontario area. We are currently closed and will reopen for normal operations starting on April 27 and 28 2019. We’ve recently re-activted our Facebook page and would love to hear from you about your visit. A few words or a photo of you and your family would be great. And by the way, thanks for visiting! Feel free to contact us with any inquires you may have. School group or organization? Contact us about a private show or tour.